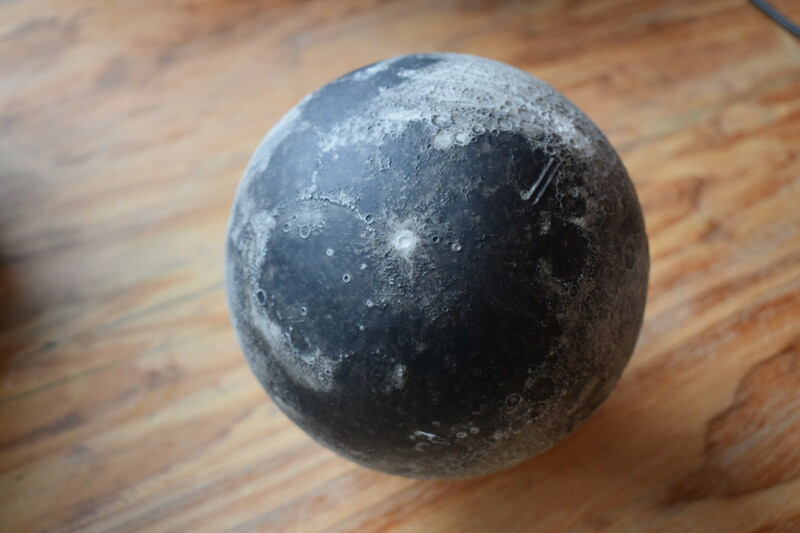 Maybe I was born a little too early, because if I had the AstroReality Lunar as a kid, I probably would have paid more attention in science class. Two weeks ago, I met up with a representative from AstroReality Lunar to see one of two models in existence. Given the rarity of the device, we picked the Dog and Fox pub in London’s leafy Wimbledon, figuring that its middle-class trappings meant that there’d be no drunken dickheads to knock over the ultra-rare device. A bet, I add, that paid off. I was immediately struck by the quality of the model. 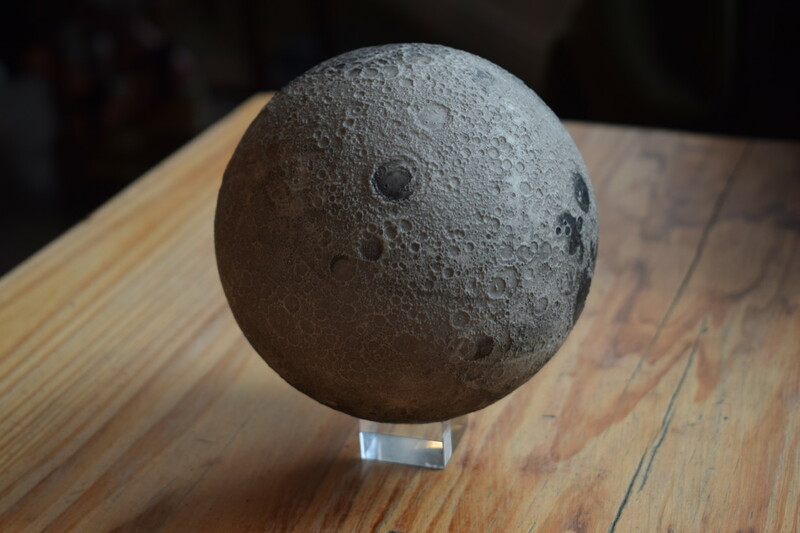 As it was explained to me, every model is a faithful representation of what the Moon actually looks like, down to each individual crater and mountain. 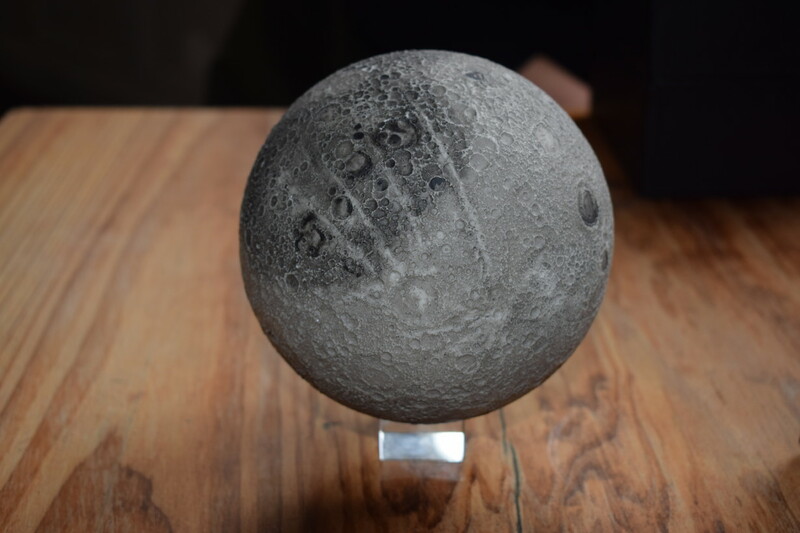 The team behind it used the most sophisticated 3D printing technology on the market, which means it’s “modeled with 0.006 millimeters per pixel precise renderings of the moon’s surface based on data captured by NASA’s Lunar Orbiter science team.” However, since they’re finished by hand, each one is unique in some small way. But the AstroReality Lunar isn’t a static, lifeless model. 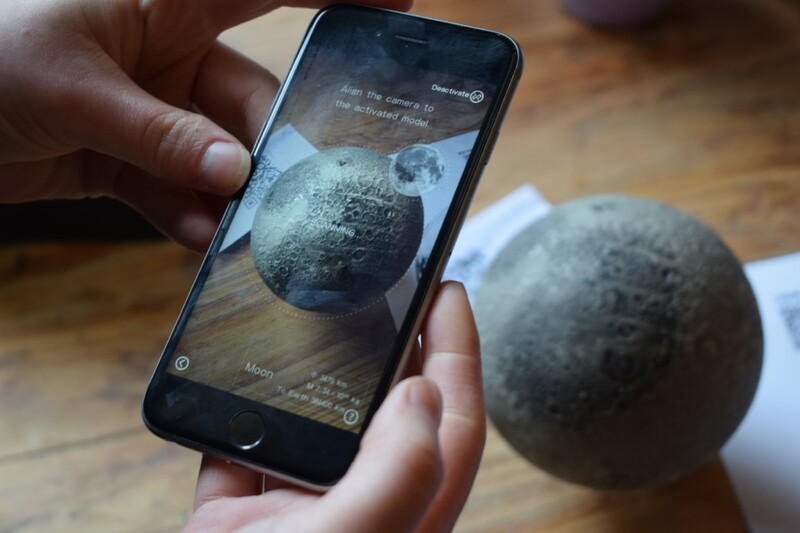 When combined with a companion app, it turns into an engrossing augmented tour of our nearest celestial neighbor. As you walk around the device, you can see the places visited in our short history as a star-faring species. Information and visuals about each historic location pops up into your device’s screen. I was so engrossed, I forgot about the pint of Camden Lager slowly reaching room temperature on the table. Ultimately, the company plans to extend this to encompass places we haven’t yet visited, as well as introduce a game-like element. You’ll be able to go on ambitious expeditions across the dusty surface of the moon, which sounds rather fun. 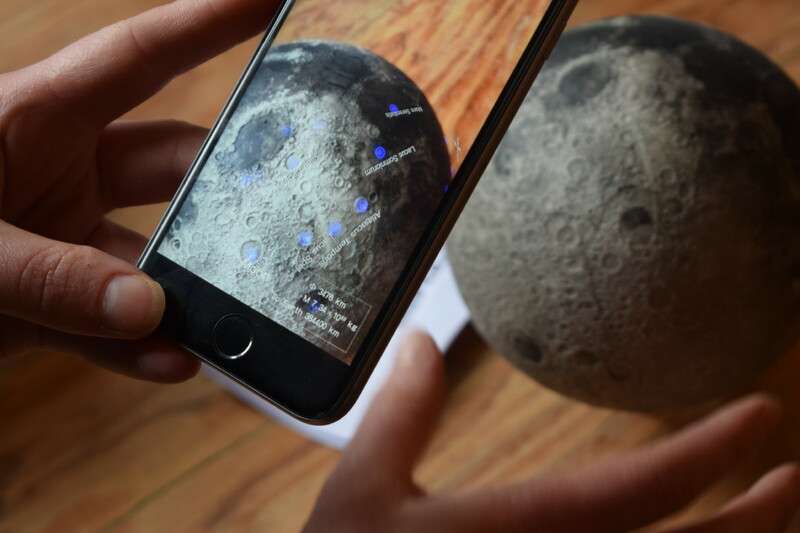 I used the AstroReality Lunar on an iPhone, and while I thought it was insanely cool, I felt it would have looked much better on the massive screen real-estate of an iPad. 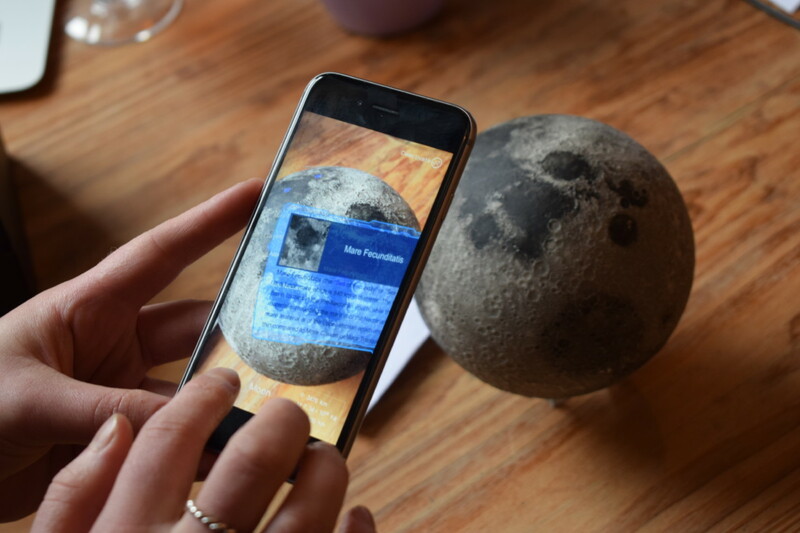 Getting the app to recognize the ‘moon’ was often a bit hit-and-miss, although I could forgive that given it was obviously very much in its prototype-stage infancy. 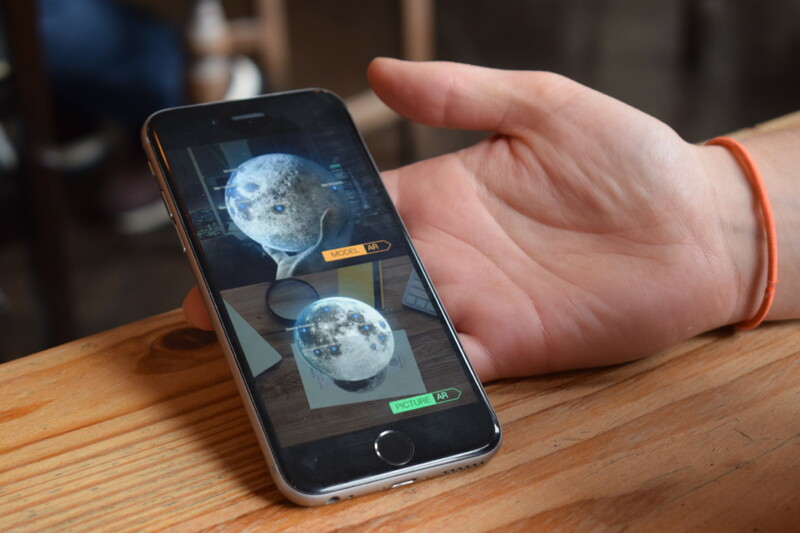 In the absence of any ambitious space expeditions — like the legendary Apollo missions — to inspire us to reach for the stars, I think it’s nice that there are things like AstroReality Lunar. The company behind the device is currently crowdfunding it on Indiegogo, and it is available in three different models: a 3cm mini version, an 8cm regular version, and a 12cm pro version. A box-set containing the Mini and Regular models costs $139 ($179 RRP). The Lunar Ultimate version, which contains all three, costs $299 ($379 RRP). You can also pick up a Lunar Pro with a bundled solar system model. This costs $489 ($689 RRP). As always, there’s an element of risk with any crowdfunding campaign — something we’ve covered in the past. That said, I saw a professional-looking working prototype, and the technology pretty much worked. AstroReality estimates that backers will get their models by November, with all features working as planned. If they manage to pull it off, they’ll have created perhaps the best science toy ever.